"I certainly expect my colt to get nearer to him than he did at York, and you only have to look back to the Eclipse to see how closely matched this pair are. 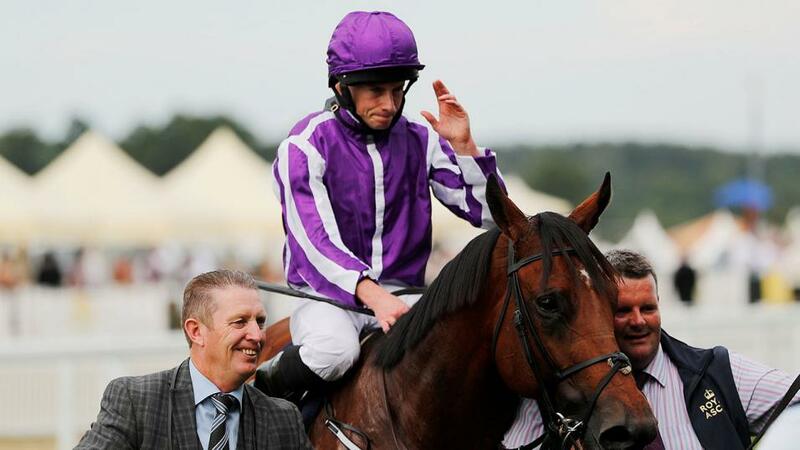 And Saxon Warrior's neck second there came only a week after his run in the Irish Derby." He was a good 2yo and he has come back to that level in a couple of runs this season, most obviously with a Wokingham fourth and when winning at Ascot last month. He didn't run so well at York last time but the drying ground is in his favour and, like most of these, he has a chance if putting his best foot forward. I suppose a draw in one could be problematic. A very tight Group 2 with no stand-out and a very open race. But I think I have as good a chance as any. He was very impressive off a big mark at Chester last time, I have finished runner-up in a Lincoln on him here, and ground and trip aren't a problem. If he is in the same form as he was at Chester last time, perhaps he just might make his first mark in Group company. Let's be honest, everyone expects Too Darn Hot to win here after what he did in the Solario. He looked exceptional and a top-notch colt there. Van Beethoven shaped better than the bare form behind Dark Vision at Goodwood last time, where he also carried a 3lb penalty. But he is similarly burdened here for his Group 2 win in the Railway Stakes and we all need the favourite to underperform. Kew Gardens looks to hold a very solid chance. He is a horse that I have always had a lot time for, and he has delivered as the season has progressed, winning the Queen's Vase and his Group 1 in France, and then running a highly satisfactory trial for this race under a 5lb penalty when third to Old Persian in the Voltigeur. He answers every question that you are looking for in a St Leger winner but, being honest, I would rather Lah Ti Dar and Loxley weren't re-routed from their Arc trials earlier in the week. Because I fear that pair the most of the opposition. The filly was hugely impressive at York and could be tough to beat, while Loxley has a progressive profile and there was a lot to like about his win in France last time. If both of those fully see out the trip, then they will be troublesome. We can deal with this race pretty quickly, I think. Alpha Centauri will win if running her race. She has looked a class apart this season. However, I was very happy with Magical's win in a Group 2 at the Curragh last time and hopefully she has a good end to the season after a very light campaign. She is a Group 1 filly, but perhaps not quite one in the league of the favourite. She was a filly we liked earlier in the season and she was impressive when winning at Killarney last month. It looks like she didn't get the run of the race last time, so we can forgive her that, and I can see her running well. That said, she needs to improve a fair amount to trouble the likes of Making Light, but hopefully the potential is there. Roaring Lion looked to take it up another level when winning the Juddmonte last time, but let's hope it's a different day and a different result. I certainly expect my colt to get nearer to him than he did at York, and you only have to look back to the Eclipse to see how closely matched this pair are. And Saxon Warrior's neck second there came only a week after his run in the Irish Derby. There is no doubt that Roaring Lion improved at York, but we can give him a race, I feel. I rode him when he finished in midfield at the Curragh earlier in the season but he clearly seemed to have stepped forward when winning a 7f handicap at that track last time. That form looks strong and is working out well, so you have to give him a very fair shout after just a 3lb rise.